Deepika Padukone makes for a PERFECT Bridesmaid; PICS VIRAL Over Web! Deepika Padukone and Ranveer Singh's wedding was one of the grand and royal weddings of 2018. And while everyone is still getting over how their pictures turned out to be so great, we came across a picture of Deepika, this time as a bridesmaid and well, let's say it is just as pretty as her pictures from the wedding. 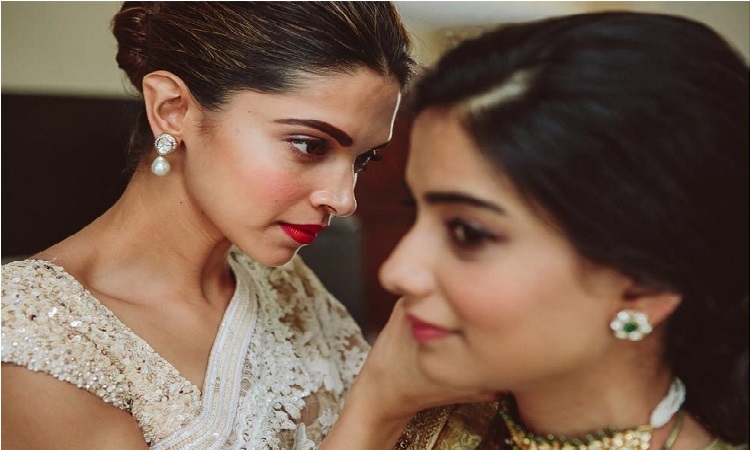 Not only Deepika but her best friend and bride Srila Rao too looks extremely pretty. Deepika posed with her best friend for the perfect clicks, and well, she did look just as pretty in that black dress as she did in the white netted saree. The pictures from her wedding are nothing short of a dream, and they are just picture perfect. Deepika has turned out to be the perfect bride and a prettier bridesmaid. Meanwhile, Deepika shared a picture on social media bidding goodbye to Paris and all the fans have been asking is for pictures of her and not the Eiffel tower. On the work front, Deepika will be next seen in Meghna Gulzar's Chhapaak co-starring Vikrant Massey. The film is a real-life story that narrates the journey of an acid attack survivor, Laxmi. The film is like to go on floors in March 2019.